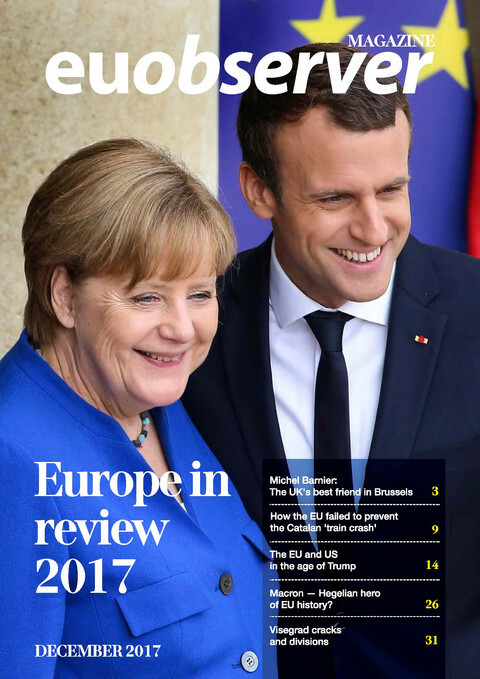 Migration is an EU policy issue that has exposed national divides, boosted far-right groups, and helped elect a young Austrian to head of government. While unable to find a common ground on internal EU asylum policies, capitals have instead shifted the bulk of their attention on stopping immigrants from reaching EU shores in the first place. "In a sense, this is also a kind of a cynical way out of the solidarity deadlock," said Kris Pollet, a senior policy officer at the Brussels-based European Council on Refugees and Exiles (ECRE). The 31-year old Sebastian Kurz, who became Austrian chancellor in December, wants to toughen up external borders and have refugees interned offshore, similar to a controversial Australian model. His ideas may gain wider traction once Austria takes the helm of the EU presidency next summer. Such political issues invariably link back to Libya, which has been a focal point in EU endeavours to curb migrant flows. Money is also being poured into programmes throughout much of Africa via the EU's €3.1 billion trust fund. But the general chaos and lack of security throughout the north African state is worrying. Around 1,500 armed militia groups appear to operate with impunity amid rampant oil, migrant, and weapons smuggling. Among the biggest is Khalifa Haftar, who was hosted this past year by both Paris and Rome, and whose Libyan National Army is now in possession of Czech Mi-24v attack helicopters. Haftar controls large swathes of eastern Libya and is a rival of the UN-backed government of national accord (GNA) in Tripoli. The mess in Libya has policy makers scrambling for more creative solutions, including EU-backed efforts in and around Sabha in the south. Notorious for its trafficking and open sale of slaves, Sabha is surrounded by powerful tribes. It is also an area where the Geneva-based International Organisation for Migration (IOM) is working with local authorities to try to improve the living conditions of surrounding communities. But finding ways to prevent people from venturing into Libya in the first place has become one of the EU's main objectives. Niger is key. 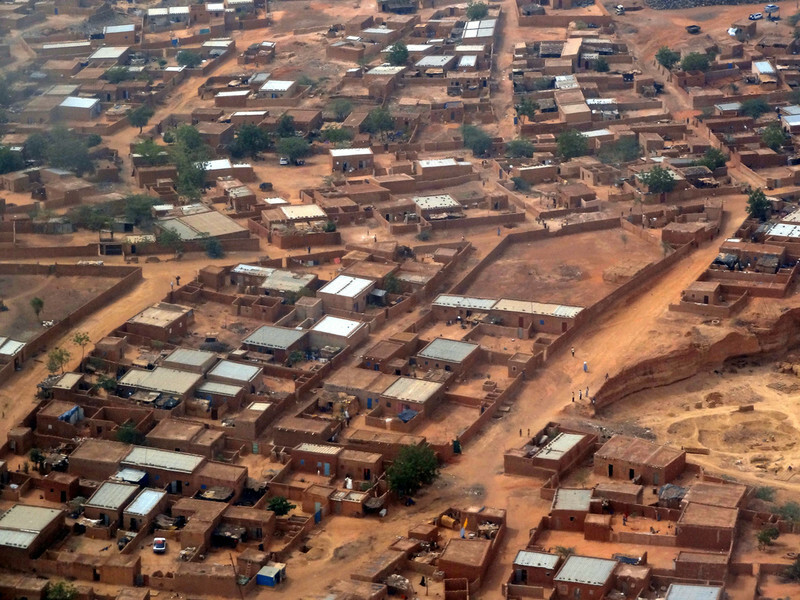 Its city Agadez is a major smuggling hub for people wanting to reach war-torn Libya. Amid information campaigns and schemes to return people to their countries of origin, fewer people are now venturing into Libya. But war and conflict throughout much of the nearby Lake Chad basin continues to rage, pitting EU funding priorities against those of NGOs like Oxfam. 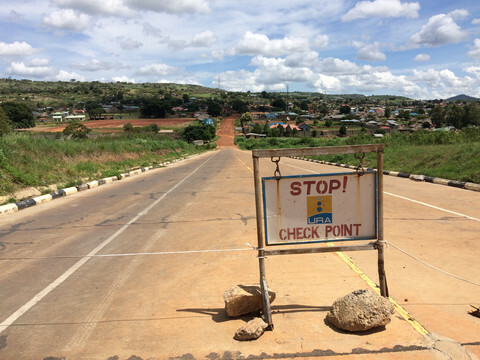 "The EU is prioritising more the security sector, investing more on the military in this fight against counter-extremism but there are millions of people in need of humanitarian assistance," said Nafkote Dabi, an Oxfam policy expert. Niger, along with Burkina Faso, Chad, Mali and Mauritania, now make up a French-led G5 Sahel military joint force that received some €50 million in EU funding. The 5,000 troops are said to be needed to provide security before further development can take place throughout the region. Dabi warns overlooking issues like humanitarian aid in the Lake Chad area could instead lead to even more chaos as people face the scourge of the Boko Haram militias. 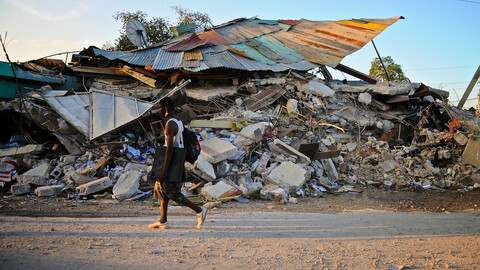 "People are desperate, they are not able to go back to their homes or resume their lives," she said. The conflict and the lack of central authority in many of these areas means the EU is having to measure its success in terms of how many migrants are attempting to cross the Mediterranean Sea. It means stepping up efforts to close down the routes and putting in place a system where people are returned home more quickly. It entails a renewed push to get international aid organisations up and running in Libya as people, plucked from its territorial waters, are returned and sent to any number of notorious detention centres. Those efforts have been heavily criticised by Medecins Sans Frontieres (Doctors Without Borders), whose president Joanne Liu accused the EU of "feeding a criminal system of abuse" by forcing migrants back to the country. Some 142 Libyans have now been trained by the EU's naval operation, Sophia. 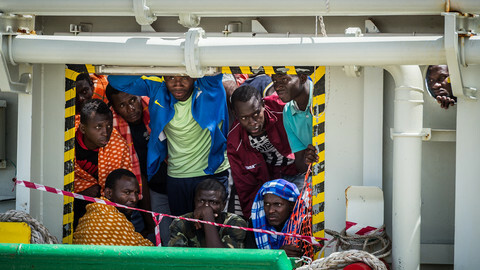 A first training package included 93 Libyan trainees, which had spent 14 weeks on board the Italian ship San Giorgio and the first two weeks on board the Dutch ship Rotterdam. Another 20 senior officers at the rank of captain or commodore were trained in Greece. Malta hosted 20 trainees and a module in Italy has been started for another 66 personnel. 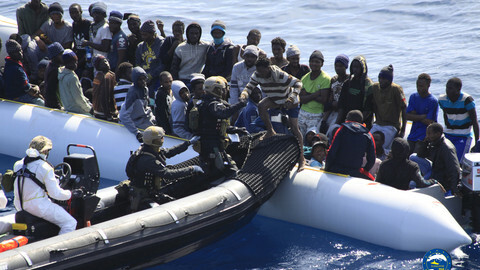 The Libyan coast guard has since intercepted almost 19,000 people since the start of the year until October. Over the summer, a UN security panel said the guard was directly involved in human rights violations. From the start of the year to mid-October, some 110,000 people arrived in Italy - a 25 percent decrease compared to the same period in 2016. Taking the period July and August alone, it represented an 80 percent drop, and was hailed as a victory by Italy's interior minister, Marco Minniti. 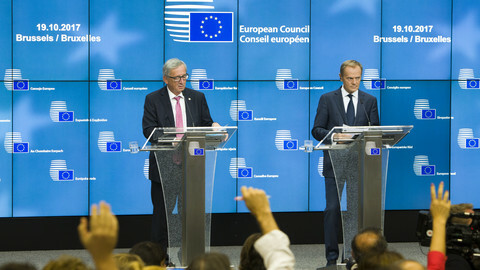 Donald Tusk, the European Council president, in October said the EU stands behind Italy in its work with Libyan authorities. "We have a real chance of closing the 'Central Mediterranean' route," he announced. But the same route compared to last year has also become more deadly in terms of drownings versus arrivals. In November, the bodies of 26 trafficked women, found on inflatable boats, arrived in Italy. "It is very likely that these girls were, in fact, victims of trafficking for sexual exploitation," said the IOM. In a seeming never-ending game of 'cat-and-mouse', smugglers are now cramming people onto rubber floats, fearful that the EU's naval operation Sophia would seize and destroy more seaworthy alternatives. Sophia has so far arrested 117 suspected smugglers and traffickers and destroyed 491 boats. But the sharp drop in arrivals over the summer also points to insider deals between Italian authorities and Tripoli, who reportedly paid off local armed militias to prevent people from disembarking. That the recognised Libyan authorities in Tripoli are intertwined with armed militia groups renders the EU's policy response on migration all the more dubious. The UN-backed GNA is said to have helped broker the deal, which sparked a major clash between rival militia factions in the smuggling city of Sabratha. The fighting revealed thousands of stranded migrants and forced the UN refugee agency (UNHCR) and IOM to step in and help them. The EU trains the Libyan coastguard and set up a monitoring mechanism to ensure they respect the human rights of migrants. 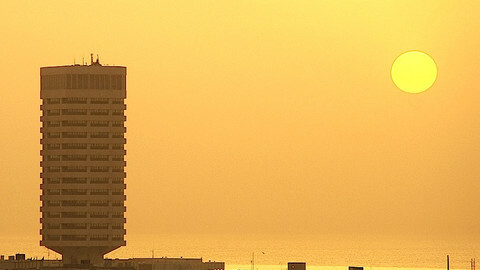 But the mechanism only requires Libyans to file reports about themselves. The European Commission sent a letter to all the aid organisations it funds to get details on measures they implement to prevent any abuse. EU foreign ministers must choose between contaminating their civilian missions and operations with panic over security and migration, and reaffirming the EU's core values as a global actor for peace and development.